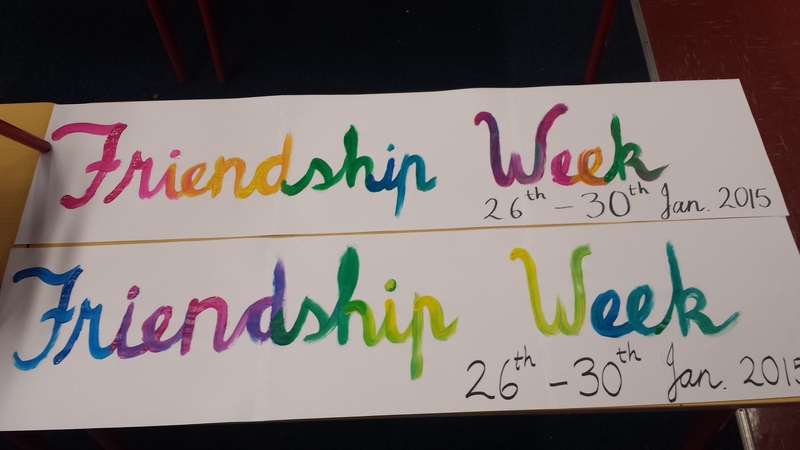 Our Health Promoting Committee have organised “Friendship Week” for the week commencing 26th January 2015. Children in all classes will be involved from designing posters about friendship to writing poems and recipes too. Children will be encouraged to be kind and helpful to their classmates and to children in other classes through playing games and activities in class. We are looking forward to a great week ahead.